Home » Blog » How Safe is to Drink Raw Water? Because nothing says “retro hip” like having cholera. According to Business Insider and The New York Times, a disturbing number of Silicon Valley hipsters are embracing a new trend that puts them “off the grid”: drinking unfiltered, untreated water straight from natural springs, without regard for disease or natural contaminants. They also claim that “raw water,” which has not been treated for any number of water-borne illnesses and bacterium, is healthier for you. 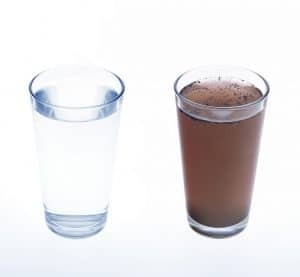 They call the effect “probiotic.” You backwards, tap water-drinking rubes, however, may call it, “dysentery,” because untreated, unfiltered water contains “almost everything conceivable that can make you sick,” one scientist told Business Insider. Before it gets to you, your water features that sweet, sweet additive, “animal feces,” which can cause all sorts of intestinal discomfort. There’s also no easier way to transmit diseases. When water was left untreated, people experienced everything from yellow fever to cholera to hepatitis A, largely as a result of drinking untreated water. Since Western civilization has become so soft, we’ve forgotten what it’s like to die in droves from crippling illnesses, but like the anti-vaccination movement before them, the raw water movement says that’s just part of the “natural deal.” Our bodies are temples, and if we just trust in their internal healing powers, we should not only survive to age 30, we should thrive. The “raw water” activists didn’t offer much commentary, however, on those currently living with “raw water” not by choice, in third world countries where pumps and clean water are scarce, or why they spend $60 per gallon on water gathered directly from natural springs, when the U.N. spends millions a year trying to build basic water treatment facilities all over the globe. Unsurprisingly, people are getting very rich on the bad decisions of Bay Area adults. According to BI, one venture capitalist offered $24 million to one “raw water” startup, Zero Mass Water, which lets people collect their own raw water from the atmosphere, and others, including the founder of the infamous Juciero juice company (which went out of business when people discovered they could just squeeze the “juice packs” without ordering the hundred-dollar machine), are quickly jumping on the “raw water” bandwagon. Nutritionists and scientists who normally might allow these full-grown humans to experiment with “raw water” so long as they’re willing to accept the consequences, are at least trying to intervene.